Citrus trees owners beware! Throughout the California region, including Montecito and Santa Barbara county, a pesky insect by the name of Asian Citrus Psyllid is transmitting a fatal disease onto the steams and leaves of our beloved citrus trees. The disease, called Huanglongbing (yellow shoot disease), has no cure and once a tree is affected it will die. Approximately one eight of an inch long, these brown, winged creatures are almost impossible to see without a trained eye or magnifying glass. What we can do to save our Citrus Trees?! The only way to prevent this disease from killing our citrus trees is to stop the insect carrying it. Do your part in saving California’s Citrus trees by inspecting your trees on a monthly basis. If you think you see the Asian Citrus Psyllid, ACT IMMEDIATELY! 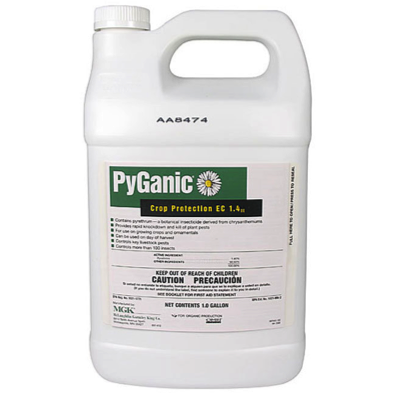 Here at Agri-Turf Supplies we sell a variety of products formulated to defend your trees against diseases. We also have a dedicated application team who can do the job for you, ensuring the health and safety of all your citrus trees. If you would like to schedule a time for our team to look at your trees, please call 805-569-2257. For more information about the Asian Citrus Psyllid, please see the Montecito Association's Community Alert and the Mandate from the State of California. In many cases, insects may target/be more atracted to trees that are already experiencing some form of stress (related to drought, disease, poor pruning, etc. ), compaired to healthy trees. 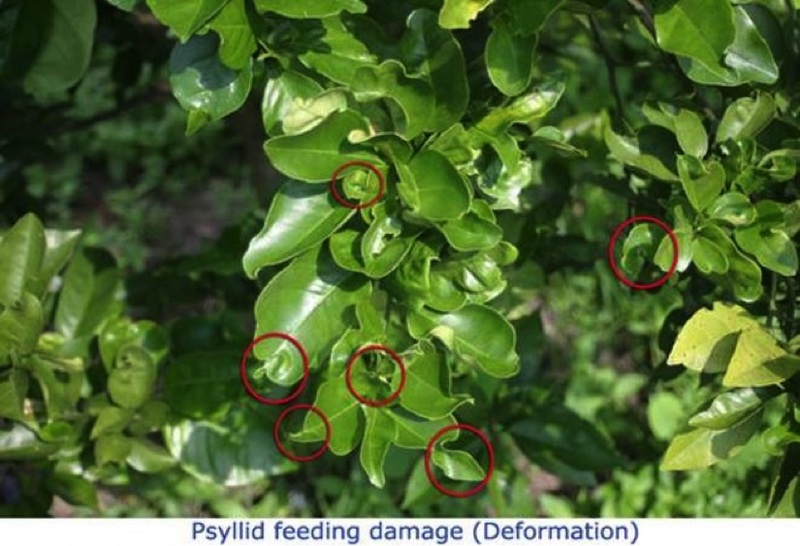 Thus, while it is not a replacement for/an atlernative to chemical control, maintaining good plant health and working to eliminate sources of stress in your citrus trees may offer an additional benifit in reducing your chances an Asian Citrus Psyllid infestation, in addition to the obvious benifits of improving plant health. Contact a specialist to learn more about our customized fertility and/or disease management programs today. 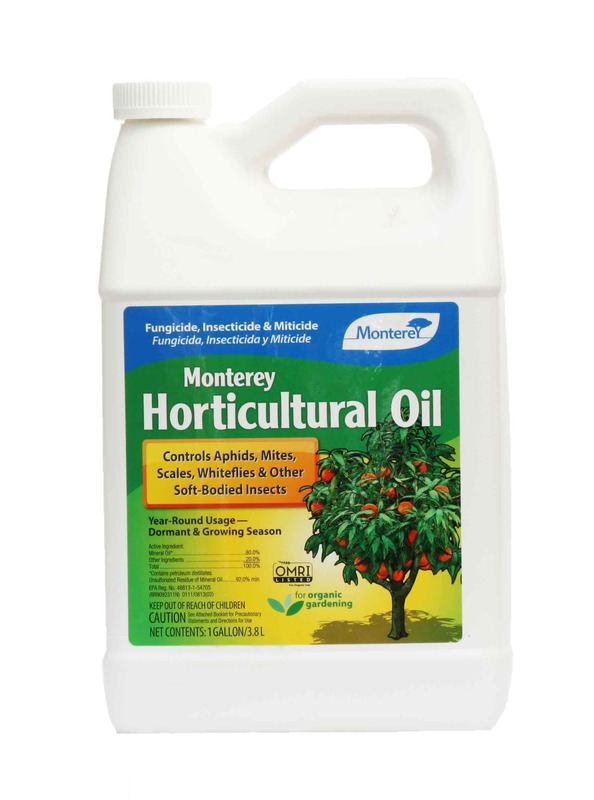 Horticultural Oil (Organic) & Monterey Insect Spray (Organic): This insecticide’s mode of action is through suffocation of eggs, larvae and nymphs of insects and mites and adults of soft-bodied insects. This mode of action necessitates total spray coverage. 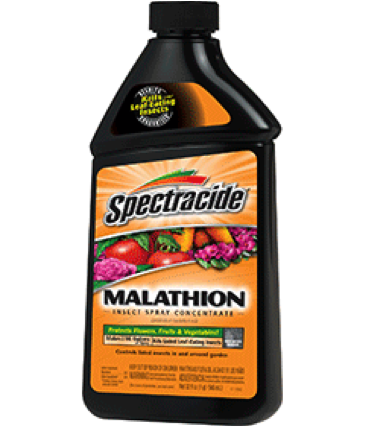 As a fungicide this product interferes with the attachment of the pathogen to the host and acts as a suffocant. 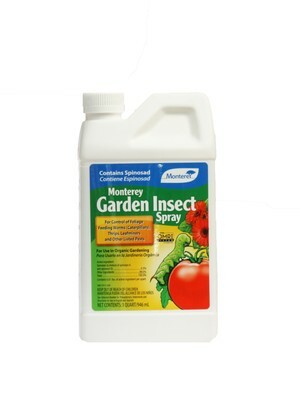 Used frequently with garden insect spray, this combination best protects your citrus trees.